Friends are often the most treasured relationships we keep in our lifetime. Our best discoveries and endeavors sometimes are built on late nights, crazy ideas, good friends and maybe even a nice bottle of tequila. Casamigos Tequila, as a brand, is no different. Famed actor George Clooney and his friend, restaurateur Randy Gerber (also Cindy Crawford‘s husband), have been tasting tequilas at distilleries located throughout Jalisco, Mexico for years. About 80% of all blue agave is grown in Jalisco, and almost all tequila distilleries are located in the state.The two never found a flavor profile they liked, so they decided to create their own. They searched for a distiller that could concoct the exact flavor they liked, subsequently they started distilling Casamigos Tequila. Named after their Mexican residences, the two enjoyed their truly “house” tequila for nearly half a decade by themselves and with their amigos without releasing it to the public for sale. After years of generosity and many margaritas, they are packaging over 1,000 bottles a year and needed to make a decision. Either fewer bottles of tequila or begin licensing and producing Casamigos on a larger scale. Over a few shots of Casamigos Reposado, they decided to produce their own agave juice for the world to enjoy. All in all, it was one of the best gatherings of friends in the history of this great city, I can assure you of that. Those that didn’t have designated drivers to go home woke up to the smell of huevos rancheros and very strong coffee. My last words of wisdom are this: always enjoy your Casamigos with good friends and drink responsibly, Albuquerque! In honor of Casamigos and the spirit of friendship, I decided to have a few friends of mine over for some cocktails, fantastic food and even more interesting conversation. As my guests walked in, they were handed a nice aperitif cocktail (an alcoholic drink taken before a meal to stimulate the appetite) made from Casamigos Blanco, a floral fortified wine, orange bitters and a touch of an acai berry liqueur. With the bitterness of this cocktail, it is meant to push your salivary glands into overdrive and increase your appetite. The second cocktail came just before some nice fruits, cheeses, a variety of salsas and chips that were put out for everyone (and possibly before a couple of shots were taken). For this cocktail, I blended Casamigos Reposado with some perfectly ripened strawberries, the herby sweetness of basil and finally the great tart flavor of a quality pomegranate liqueur. We dined on great steak and fish tacos prepared by our great friend and Chef Mr. P.D. Welker and his nephew Chach. We opened a few different bottles of wine to enjoy with our entrees, talk amongst ourselves and tried to solve all the world’s problems. All this before dessert! When dessert was served I prepared everybody with a nice digestive cocktail containing Casamigos Anejo, fresh orange juice and one of my favorite amaros. This cocktail is designed to help digest your food after an exquisite meal. Do you recognize that smell? Oh yes, the air is getting cooler, the sun is setting earlier, and the green chile is roasting in the clean New Mexico air. For many of us, this is the most beautiful time to be in ABQ. I’m standing behind the bar at Vernon’s, and I can tell my guests are itching for something new, different, and interesting. 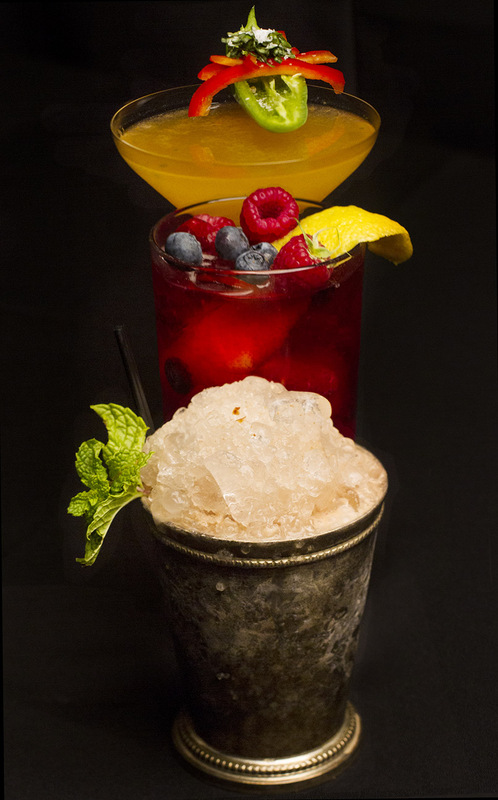 Summertime libations are losing their appeal, while the popular winter drinks are not yet being ordered. The first cocktail I created is a hybrid of the Summer and Autumn seasons, combining the depth of a dark tea and fall evenings, alongside the lingering brightness of a long summer night. The air in New Mexico changes as you drive the roads around the cities, towns, and gorgeous villages dotted across the state. I created this particular cocktail with roasted red chile, fresh basil, cilantro, and lemon juice. I added limoncello and the Milk Money Vodka to complete this unique drink. I call it ‘The Poinsettia’. The final drink I created for the rotation of the season, Paduano’s Pleasure was in honor of a great donor and a great cause. 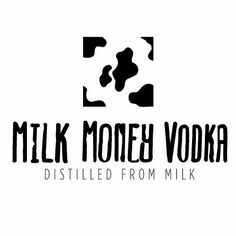 Earlier this month, the United Way and Milk Money Vodka contacted me to craft a cocktail worthy enough and based upon the particular tastes of the donor to this charity. Tony Paduano and I met and we discussed his likes and dislikes. In the end, we came up with a dark berry and herb cocktail with the signature Milk Money Vodka, a splash of pomegranate liqueur, lime juice, blueberries and a sprig of thyme to finish it off. A cocktail tailored for the gentleman who made a significant donation to a worthy cause.